Iqbal Kebab, a Pakistan restaurant in Toronto is finest in Indian/Pakistani cuisine and halal food with a unique blend of African flavors. With our team of Chefs and Souse chefs from a varied background we satisfy the toughest taste buds looking for a unique South Asian palate. We only use 100% Halal meat and the freshest ingredients available in the market. 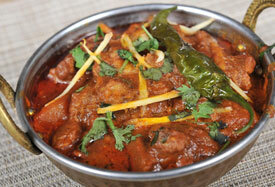 We strive to provide the best Pakistani food, halal dishes, tandoori dishes and halal food in Toronto. Best catering halal food restaurant in Toronto, Iqbal Kebab offers take-out and catering for Pakistani halal food. Specializing in halal food and Pakistani cuisine, Iqbal Kebab has been serving delicious Pakistani cuisine. Our halal food is prepared with the utmost attention given towards taste and flavour. You will find Iqbal Kebab amongst the best Pakistani restaurant in Toronto. 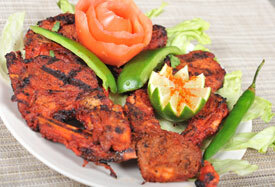 Call Iqbal Kebab now to discuss halal catering a party featuring halal Pakistani food. Come in and try our halal food and Pakistan food in Toronto… On weekends, try our halwa puree thali, paya or nihari for breakfast. 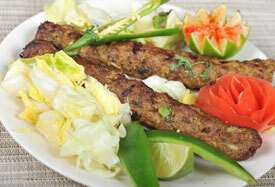 Weekdays grab a quick lunch on the go with a chicken/beef kebab roll or even try a thali. Thalis are prepared fresh daily like all our tandoori dishes or halal dishes and offers you a choice of meat or vegi dishes. 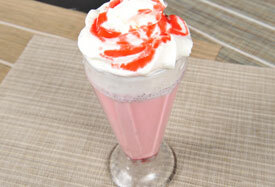 Do not forget to try our famous Mishkaki, Shish Kebab, Chili Cheese Popcorn or any item on our menu. Please contact us for your South Asian halal catering, Pakistani catering and Muslim catering in Toronto, Don Mills and North York. Copyright © 2016. Iqbal Kabab.